Exclusively on the Nintendo Switch eShop, Golf Story appeals to a niche market of those who love top-down, anime-style RPGs and golf. 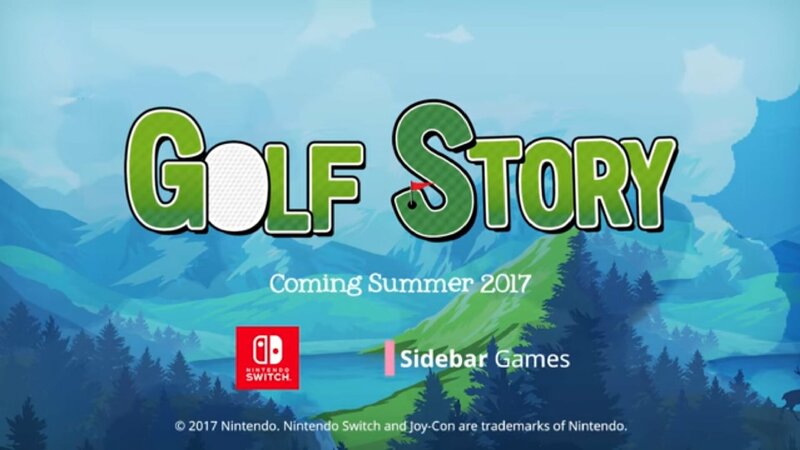 Published and Developed by Sidebar Games, fans got their first look at Golf Story during Nintendo’s “Nindy” (Indy) game showcase in late August. Details are scarce, but trailer footage shows the player speaking with vendors to upgrade equipment and make purchases. Interactive NPCs congratulate the character for good shots and give missions, and Golf Story seems to involve a mystery. One NPC is shown telling the player it’s time for some “espionage” and the player later is seen hiding under a table to eavesdrop on a conversation. The game offers eight unique environments with courses, NPCs and quests. Developers placed an emphasis on story in this RPG and include a diverse cast of characters. Golf Story is due to be released this September.